When one hears the phrase "think globally, act locally", there was no better embodiment of that thought than the late Tom Wisner. 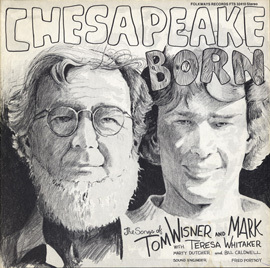 Wisner (1930-2010) was a musician, songwriter, poet, artist and educator whose every act was in service of his beloved Chesapeake Bay watershed. Wisner was born and raised in the Anacostia section of Washington, D.C. When he was a child his parents frequently spent parts of the summer visiting relatives on the Upper James River in Virginia. As a lad, Wisner fell in love with the river, its water and its wildlife. It became his passion. He studied biology and when he grew up worked as a naturalist and science educator. It was during his tenure in the 1960s at the Chesapeake Biological Laboratory in Solomon's Island, Maryland that Wisner found home. Solomon's Island is a small town located by the mouth of Patuxent River where it empties into the Chesapeake. He worked there as an educator under Dr. Eugene Cronin. Working with Cronin's encouragement, he discovered that he was most successful as a teacher when incorporating art and music into his talks. He spent the rest of his life doing exactly this. Among his early compositions is a song that has become a beloved Maryland song, "Chesapeake Born". His songs addressed the Chesapeake and the history and culture of the region. Wisner felt a strong tie to the water and the land. He wanted others to realize the importance of the various watersheds that make up the United States. He wanted people to understand that these rivers make up a great circulatory system for the land and need to be cared for. We needed to appreciate the relationship between all species living in the watershed, and his work focused on that of the Chesapeake. Wisner appreciated those he referred to as the "elemental" people of the bay. He spent years documenting their lives and work. He painted them, photographed them, recorded their voices. They were the last great skipjack captains, the great old watermen, folks like Captain Alex Kellum, Captain Watt Herbert, and Captain Art Daniels. He wanted to know and preserve their ways. He wanted them to be recognized for who they were. Every conversation with Wisner always came around to these people. He left behind important documentation about them. 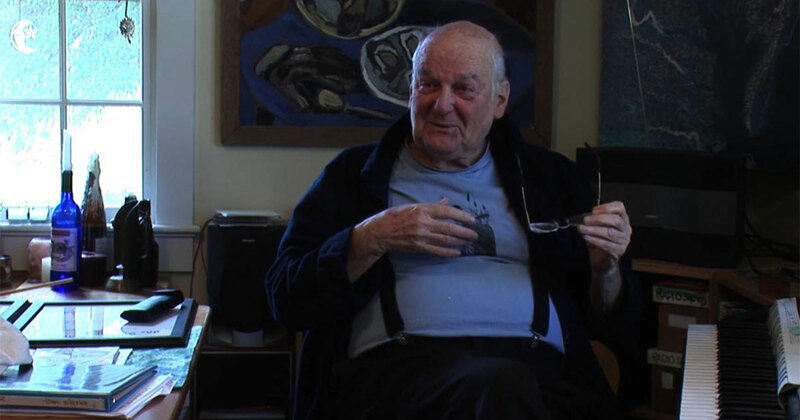 In 1978, Wisner traveled up to New York City and met Moses Asch the owner and co-founder of Folkways Records. Wisner presented Asch with his idea of music of the Chesapeake Bay and his artwork which went with it. Asch was impressed. Asch's goal was a encyclopedia of the sounds of the world and he had yet to acquire anything from the Chesapeake region, and he liked Wisner's approach. Wisner casually asked him, "how can I make a living doing this kind of work? ", whereupon Asch laughed, "Are you serious, you can't make a living doing this!" His first LP was Chesapeake Born, a recording done with his son Mark. It included two of his well-known songs, the title tune and "Dredging is My Drudgery." 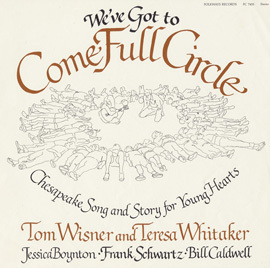 He worked with long time musical collaborators, Teresa Whitaker and Frank Schwartz to create a lovely children's album in 1984, We've Got to Come Full Circle: Chesapeake Song and Story for Young Hearts. 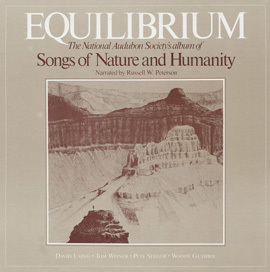 "Made of Water" and two other performances of Wisner and Whitaker appeared on a Folkways collection of environmental songs, Equilibrium: Songs of Nature and Humanity. 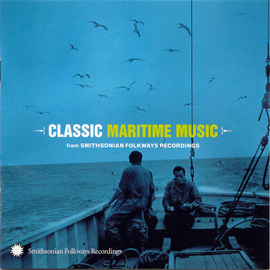 This began a long relationship with Folkways and, subsequently, Smithsonian Folkways. In 1988, as part of his active work in preserving the Chesapeake, he and then Maryland State Senator Bernie Fowler developed the concept of the "wade-in", which has become a Maryland tradition. Participants wade into the bay, or in Wisner's case the Patuxent River, and see how far they can go still see their tennis shoes. The goal is to walk further each year. Wisner was proud to report it was getting better. For many years, Tom Wisner lived a Thoreau like existence in a small cottage up hill from the Patuxent River. This was old Jake Soller's house, a historic building. Wisner knew and appreciated the history of the region and would cheerfully relate the history of Soller's Wharf to visitors. In his small house everything was organized and labeled. His walls were decorated with his student's drawings of crabs and boats One wall had Tom's own lovely paintings of the waterman he knew and respected. There were binders of song lyrics and other writings, boxes of audio and video tapes. There were copies of the many radio shows he did on local FM station, WRYR on the bay and its culture. The back porch had jar upon jar of older shells and fossils. In 2001, Wisner self-released a new collection of music, Made of Water, with his musical friends. One of his final projects was another great collection called Follow the Water, with an expanding group of musical cohorts, released in early 2010. Fans and friends braved the historic blizzard of 2010 to attend the two of three final record release concerts in Solomon's Island Easton, that were not cancelled by the weather. Tom, in ill-health, made it himself. He also founded a non-profit organization called Chestory (The Center for Chesapeake Story) whose goal it is to tell the story of the Chesapeake Bay through the arts. In his final year, Wisner worked with a group of friends to assure that his work would carry on and his music remain alive. Many of his recordings, photographs, and artwork will be part of a Chestory Archive at the Calvert Marine Museum in Solomon's Island, Maryland. His musical partners Teresa Whitaker and Frank Schwartz will see that his songs will be available for children to sing and continue to be used in education. The non-profit group CHEARS will carry on the work of Chestory. 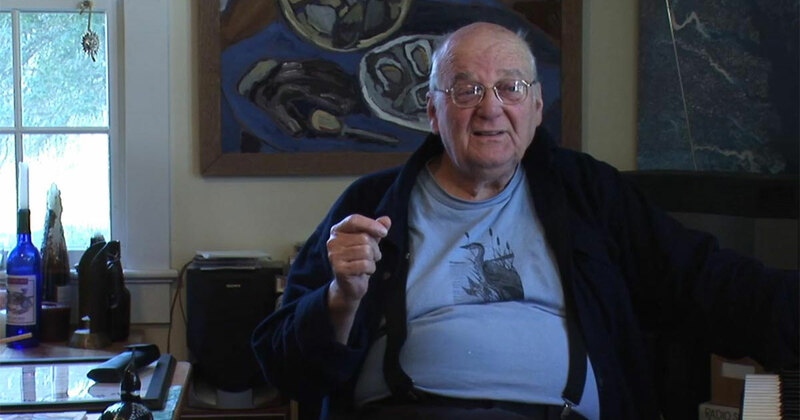 Tom Wisner passed away on April 2, 2010. A tribute was held in Chestertown, Maryland and some of his old friends like Captain Art Daniel came and spoke. A memorial was held at King's Landing Park. On a sunny April Saturday, at the recently rechristened Tom Wisner Hall at Kings Landing Park along the Patuxtent River, old friends and colleagues of Tom's gathered to honor his memory. As attendees arrived three bald eagles circled above the building welcoming the guests. Friends from all parts of his life told stories and sang Tom's songs including Senator Fowler and Maryland Governor Martin O'Malley. All in attendance pledged to carry on Tom's work. Tom's music will continue to be part of the Smithsonian collections for generations to come will be there for all to enjoy and use as Tom wanted.